We are always looking for instructors that have a passion for teaching children. We want to teach valuable skills to help our students to be successful in all they set their minds to do. If you share in our goal and would like to earn some extra income this is the right place for you. This is a place where a teacher or a homeschool parent can share their knowledge in a fun way with their own children and others. Don’t be intimidated as we have course templates that will help you along your way as well as hands on training to get you started. SKrafty has been around for many years now serving the online homeschool community with classes, clubs, and much more. We have amazing students and community members who are ready and waiting to take your courses! Let us do the heavy work in infrastructure, advertising and promotion for your classes so you can concentrate on teaching. We believe that the best teachers are those who are passionate and interested in what they are teaching. A degree isn’t necessary to be knowledgable about a topic and pass that knowledge on to students. That’s why we don’t require any degrees or certifications to teach for SKrafty unless it’s required by the curriculum provider. For example, IEW teachers are required to have IEW certification. Experience with using word processor preferred. WordPress experience is a plus. All teachers must have a background check (Cost $27 paid by applicant). Must agree to our statement of faith. For live classes you must have a web camera and headset. SKrafty teachers can choose their own SKrafty class format and content. You can choose between self-paced courses in which the lessons are pre-recorded or Live (also recorded) classes where you meet with your students once a week in your own dedicated online classroom. With SKrafty community classes you can teach what you love. Do you have a passion for art, science, history, math, rock painting, geocaching, Pacman, Beethoven, or most anything else? If so, it would likely make a great class because passion about a topic is contagious. Pass that love for your topic on to students and educate them in the process. How do SKrafty Community Teachers Get Paid? We handle all the heavy work here so you can concentrate on teaching! Students enroll effortlessly through our sytem and pay through a secure checkout. SKrafty staff will reconcile all enrollments with payments and issue a final report of enrolled students. SKrafty Community teachers will receive 75% of the course proceeds. The proceeds are paid on a monthly basis divided by the number of months the course will last. For example, a teacher with a 9 month class costing $300 and having 20 students enrolled will receive $500 per month for the 9 month duration of the course. 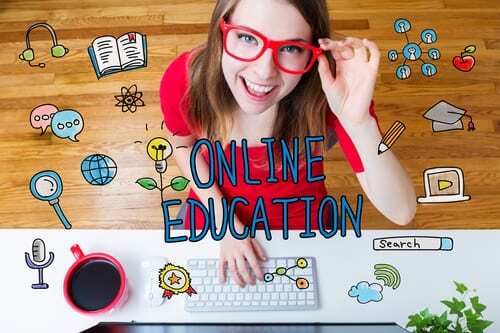 Do you love to teach, but scared that teaching online will be too hard? Or maybe you’ve got it down, but just need a platform on which to teach? Don’t fear! With SKrafty classes our staff will help you along the way with as much, or as little, training you need. We want you to be successful so we’ll provide hands-on training sessions as well as video training so you’ll feel comfortable with online teaching well before your first class begins. Our Basic Beliefs represent the most simple and foundational beliefs of Biblical Christianity. They include the basics of Christian theology. Anyone pursuing teaching for SKrafty must agree with these beliefs. We believe the entire Bible is the inspired Word of God and that men were moved by the Holy Spirit to write the words of Scripture. Therefore, we believe the Bible is without error and is our sole authority. We believe in one God who exists in three distinct persons: Father, Son and Holy Spirit. We believe that Jesus Christ is the second member of the Trinity (the Son of God) who became flesh to reveal God to humanity and to become the Savior of the lost world. We believe that salvation is completely of God by grace on the basis of the redemption of Jesus Christ, His shed blood, and not on the basis of human merit or works. SKrafty parents can take comfort in the fact that our teachers are in alignment with SKrafty values and our statement of faith. Teachers looking to apply will be required to sign the SKrafty statement of faith as well as agree to abide by and help enforce SKrafty chat and behavior rules in their classroom. Any classes touching on Bible, Science, or History should be taught from a young earth perspective. If you have read the information and would like to become a SKrafty Community Teacher then please follow this link to fill out our registration form. We will review your request and follow up with you quickly.